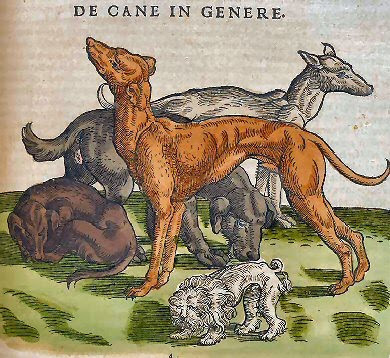 Illustration from Historiae Animalium (1551-1558) by Conrad Gesner. The National Library of Medicine has released, as part of a larger project, scans of scientific books from the 15th and 16th centuries. They display them in virtual book form so you can flip through them (with a docent providing audio on some pages), and major illustrations are offered up separately in large jpgs. Classic books by Gesner (above), Paré, Vesalius, and the spectacular illustrations from Robert Hooke's Micrographia appear. Lovely.